Chances are everything is still okay with the air conditioner Hilary. If any of the contacts got wet, they will dry out over time. If you have any doubts, a quick inspection can be performed by removing the exterior shroud and simply looking inside at the contacts and connections. Be sure the RV is unplugged, of course. You didn’t mention which brand air conditioner you have, but all shrouds are removable, but you may have to refer to the owner’s manual to determine exactly how on your model. This is assuming the wind blew the water in through the vents of the shroud and into the return air portion of the unit. 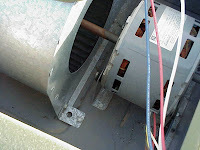 If the leak was around the seal between the roof and the air conditioner, then the mounting bolts may need tightening. You can also remove the ceiling shroud inside the RV to inspect the compactness of the weather seal under the unit and on top of the roof. How to prevent this in the future? Get the heck “out of Dodge” when a hurricane is approaching! 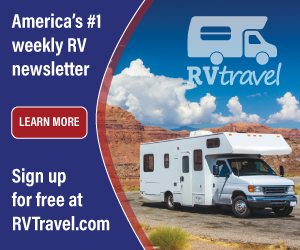 Seriously though, if the RV is not being used at the time, you can purchase a cover for it that will minimize the intrusion of rainwater through the ventilation openings in the shroud. If you’re living in the rig at the time, and the wind and rain are blowing sideways, just be sure the drain holes in the pan of the air conditioner are free and clear so the incoming water can drain onto the roof before it has a chance to seep into the living area. Under normal operational circumstances, of course, enough heat is generated by the compressor and the fan motor to typically evaporate any moisture that accumulates. The remaining moisture is simply released through the drain holes in the pan and onto the roof where it either drains off or eventually evaporates. Since you emailed, I’m assuming you still have power and are safe. I grew up in Florida and went through many hurricanes so I know how frightening that experience can be. Glad you are safe!